Chefs from around the world rely on meat injectors to increase the flavor profile of cooked meats. 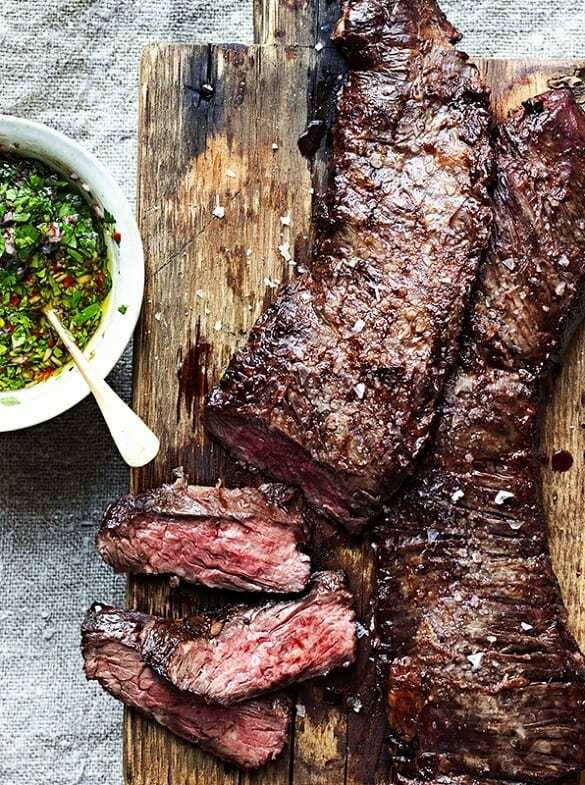 Injecting a marinade directly into meat, rather than soaking the meat in a marinade, can deliver better flavor and more juiciness. Finding the best meat injector can improve your skills in the kitchen and widen your culinary specialties. If choosing the best meat injector is overwhelming, the following advice can make it easier to narrow down your options, understand the importance of a meat injector and walk away with the right injector for your cooking needs. There are many benefits of buying and using a meat injector, but the two prevailing ones include marinating and increasing moisture in cuts of meat. 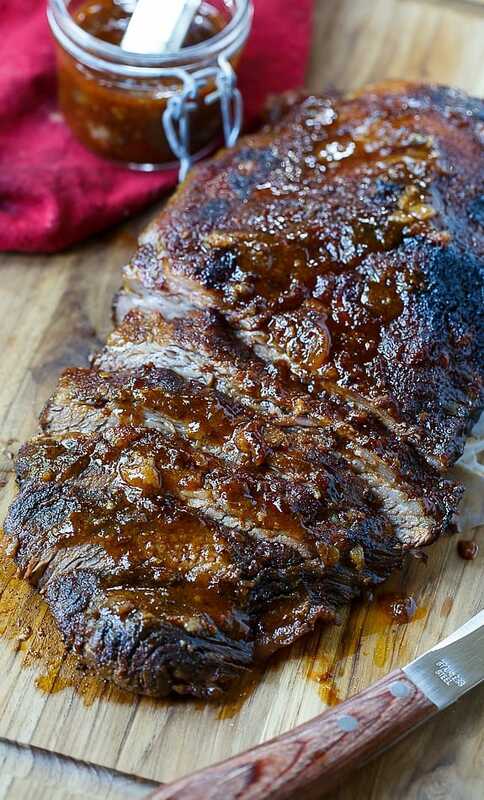 When you marinate meat, the liquid, brine or other mixture only reaches the exterior surface of the meat. Even after many hours of marinating, the marinade may not have penetrated to the very center of the cut. A meat injector, however, easily solves that problem by dispensing the marinade through a large needle and allowing you to put the sauce wherever you want it to go. Even if you aren't hoping to add flavor, a meat injector can add moisture to cuts of meat that tend to dry out quickly. Whether you are going for increased flavor or moisture, an injector can speed up the process. In many ways, using a meat injector can save you time in the kitchen without sacrificing the quality of the dishes you prepare. One of the great things about a meat injector is how simple it is to use. First, you decide on what kind of liquid you want to inject into the meat. Then, you fill the meat injector with the liquid mixture or marinade of your choice, drawing it into the chamber with the needle. After that, it is simply a matter of pushing the end of the injector and releasing the liquid from the chamber and into the meat via the needle itself. You can control where the marinade goes, where it is injected and how much gets put into the meat at any given time. This isn't a kitchen appliance that requires extensive culinary knowledge or training, but it can instantly upgrade the food that you prepare. A meat injector is primarily used for cuts of meat ranging from pork shoulders to entire turkeys. However, once a meat injector is cleaned after each use, you'll be able to use it for other types of culinary endeavors. A meat injector can be used to inject liquor into fruits, chocolate into baked goods or yogurt into meringues. The options are endless, so a meat injector makes it much simpler to get creative in the kitchen. When choosing the best meat injector, one of the things to consider is the size of the injector and its total liquid capacity. For those who typically make smaller cuts of meat, such as a few pounds at a time, a smaller liquid capacity may be fine, and the small size of the injector will make it easier to store and clean. For those who routinely cook large cuts of meat and who aren't concerned about the possibility of delicate dishes, a larger capacity and a large overall injector might be the best choice. Some meat injectors have thin, sharp needles that are designed to inject easily into tough pieces of meat. These thin needles are best for liquid marinades like olive oil or melted butter. Thicker needles may be more difficult to inject into tough meat, but they are wide enough to hold mixtures that contain herbs or chunky marinades like homemade pesto. Don't forget to consider how easy it will be to clean a meat injector after use. Since it will be primarily used for oil-based liquids and will be in contact with raw meat, hygiene is key. Look for meat injectors that are either easy to take apart and sterilize, or can be placed into the dishwasher for quick, effortless cleaning. For the average home chef, the Chief Chef Meat Injector Kit is ideal. It includes two needles, allowing for solid marinades like garlic sauce as well as liquid infusions, so you'll have a simple but versatile tool. The plunger has three rings on the handle to make use a little easier, while the food-grade stainless steel construction is durable and designed to be hygienic in the kitchen. The silicone gloves included in the kit are fantastic for handling hot meat on the grill or any other pots and ﻿pans﻿ as you cook. The bear claws didn't make shredding meat much easier than using tongs or even two forks. I was thrilled to learn, however, that everything in the kit, including the gloves, can easily be washed in the dishwasher. 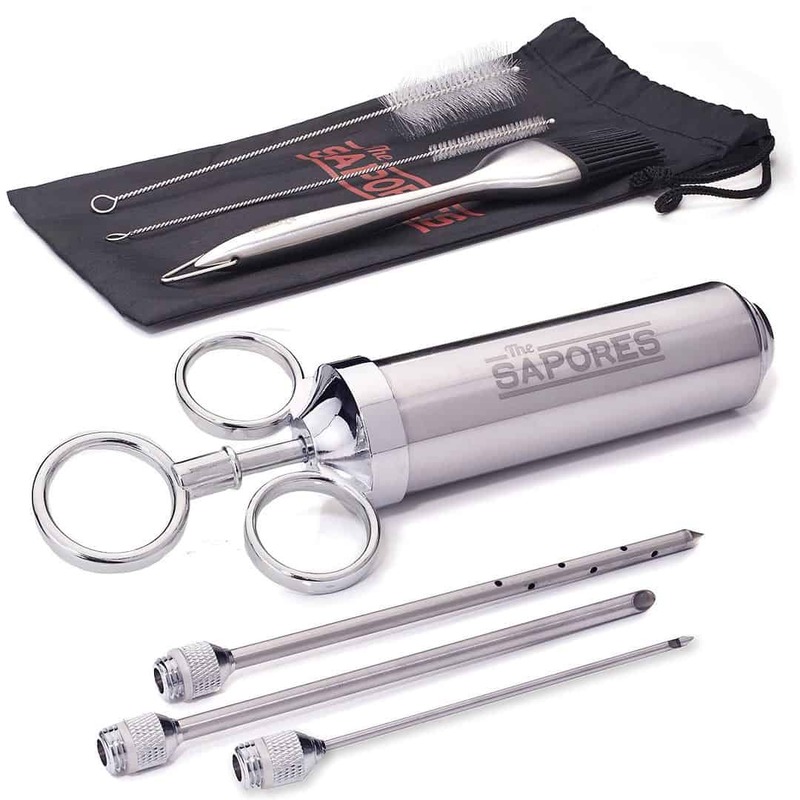 The Sapores Supreme Marinator Set is a great collection of tools with which to inject meat. To start, there are three different needles included, which I loved because it meant I could inject thicker marinades when needed. The 2-ounce capacity is suitable for most cuts of meat, but it might translate into frequent refills when cooking or grilling bigger pieces. The basting brushes are ideal for grilling, and the storage pouch is a nice touch. However, some of the accessories aren't great, and the thermometer in particular took a long time to get an accurate reading. The plunger was difficult to remove, but after a few uses, the process became smoother. I was able to utilize cleaning brushes included, but they weren't very necessary and could easily become something that sits unused at the back of the drawer. 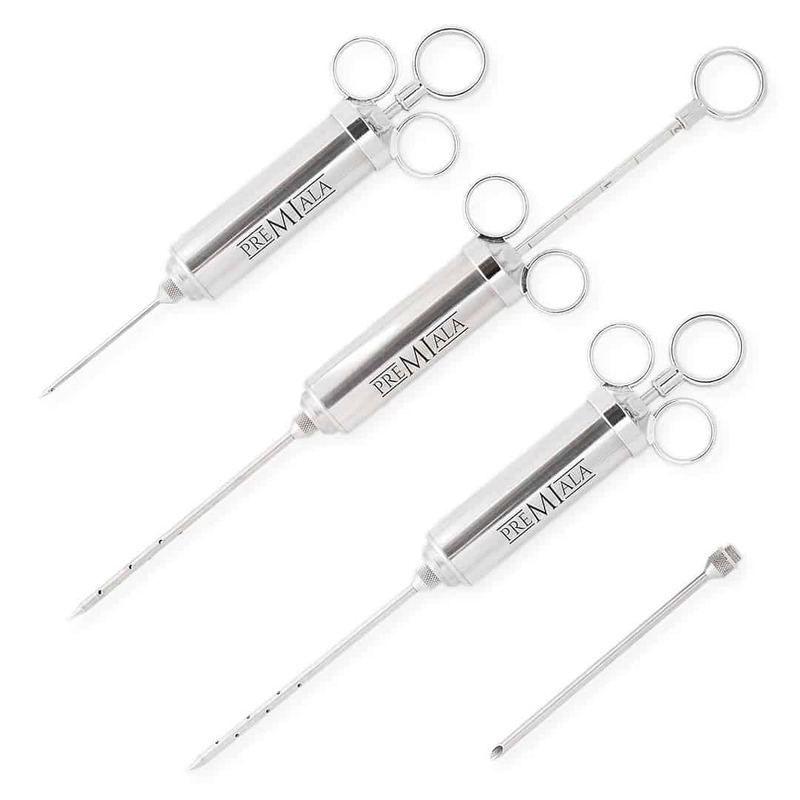 The Premelia Professional Flavor Marinade Injector Kit won me over quickly, thanks to its sleek design and the fact that it was manufactured using 304 stainless steel, which is food grade and ideal for usage in meat. I was delighted to learn that the metal wouldn't rust even after years of use. The largest of the three needles is a little too wide, in my opinion, and it caused some marinades to leak right back out. It would work well, however, for chunky marinades. Including spare silicon O-rings was a smart move on Premalia's part because when those start to erode, it is nearly impossible to find a suitable fit without just replacing the whole meat injector. I was slightly disappointed in the eBook included, which was filled with somewhat confusing instructions. 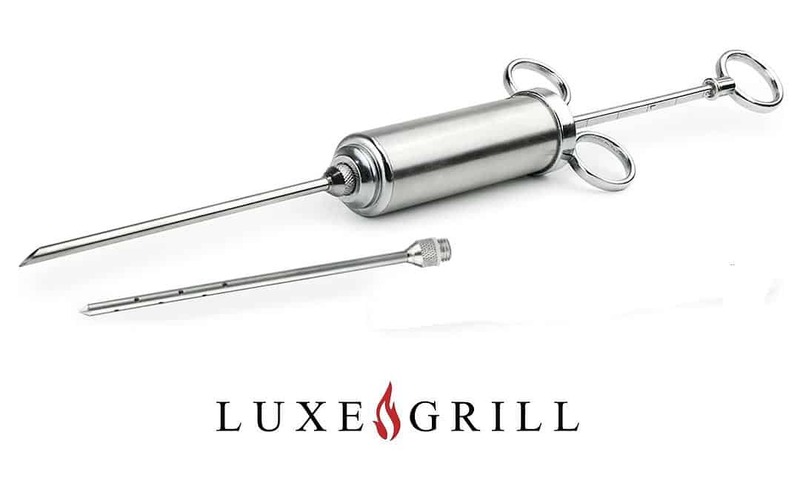 If you're looking for a simple, high-quality meat injector that is easy to clean and store, then the Luxe Grill Stainless Steel Meat Injector Set could be a great fit. It is one of the cheapest picks available, and it doesn't come with any accessories. However, the simple approach works, and I was pleased with the quality and construction of the item. There are only two included needles rather than the typical three, but the two are suitable for liquid marinades as well as chunkier, thicker liquids. The design is slimmer and longer than other models, and the plunger itself feels a little more delicate than I would like. Overall, however, the entire set is suitable if you're just getting into meat injecting but not quite ready for a major investment. The Grill Beast Stainless Steel Injector Kit looks great out of the packaging, and most of the parts are clearly designed with food-grade stainless steel. However, it was immediately apparent that the rings at the top of the plunger were not made from the same durable material. This part of the meat injector doesn't touch the meat, but it would be nice if it were a little more heavy-duty. There are three needles included, one each for liquid marinades, precision injecting and chunkier sauces. The 2-ounce capacity of the barrel is ideal for most cuts of meat, but it might mean extra refills if you're cooking for a crowd or grilling larger pieces of pork and beef. It is a definite bonus that the kit comes with a full guarantee for life and the option for a refund if you're unsatisfied in any way. There are a number of excellent meat injectors in the market, and most are available at very reasonable price points. The best meat injector on this list, however, is the Chief Chef Meat Injector Kit. The meat injector itself is constructed well from quality ingredients and sturdy to use, and it includes three needles for a variety of marinade types. 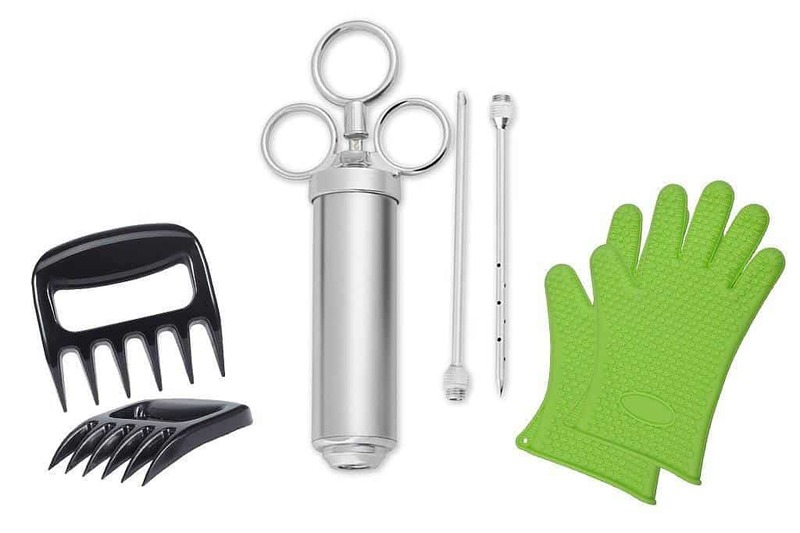 The kit also comes with excellent silicone gloves that makes it easy to pick up and turn heavy, hot pieces of meat while they are in the oven or on the grill. 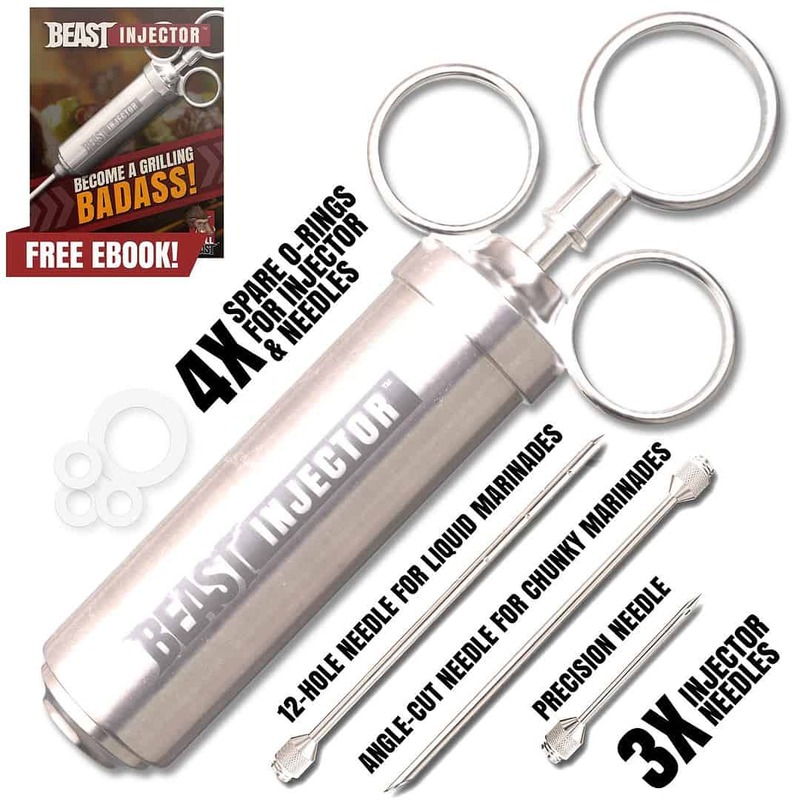 What are your thoughts on the best meat injector on the market? Do you have any other creative uses for flavor injectors for things like fruits, desserts or even drinks? If you liked this article or you have any tips to share about using meat injectors, share your thoughts in the comments section below.